As opposed to forensic investigations that involve the examination of data systems, internal investigations describes the use of an undercover investigator acting as a employee who observes and reports on the actions and practices of his/her fellow employees and the company. The investigative reports are kept secret within the company and no disclosure is made to others in the company that an internal investigation is (or has been) conducted. Many times internal investigations result from discoveries made by first line supervisors who are documenting the behavior of poor performers but often management is not capable of providing appropriate evidence to justify termination. This may be due to union rules, internal policy, or government regulations on employee/manager relationships. A first recommendation would be the use of both known CCTV and covert detection systems. As a matter of course, the review of the employee’s email, web activity, and company phone call register should also be examined. Caution is warned, however, that no intrusion is made that may be considered unconstitutional in other circumstances. Also, a company policy on the use and audit of these communication systems is acknowledged by the employee and kept on record well before the examination is performed. Internal investigations are often the ‘last resort’ for company’s who know they have problems but have little evidence to use against the rouge employee. Internal Investigations are a labor intensive, costly proposition to determine wrongdoing but are often the only means to appropriately identify and terminate the employee who escapes detection from CCTV or other non-intrusive means. The investigator enters into this situation blindly, often not provided with details of who the intended target may be. This serves as a safeguard in case the details of the investigation are brought to light and further adds credence to the investigator’s reports and observations as being unbiased. Company’s may recognize the need for such an investigation but may have reservations about the cost and the ability to use investigative findings appropriately. Legal counsel is the next step in this equation. Attorneys who specialize in employee/company relations or human resources should be sought for this task. The laws regarding the employment of undercover investigators vary from state to state and the use of an appropriate law firm will recognize the need for a professional investigative firm that is experienced in conducting and selecting investigators correctly. Smaller investigative firms who specialize in internal investigations, who are bonded, and recognize the need for confidentiality, should be sought. Larger security guard companies have been known to employ security guards to act as investigators, which can result in unnecessary disclosure of investigator’s activities. Thereby damaging the company’s reputation and the trust they have with other ‘good’ employees. Typically, the decision to conduct an internal investigation is made at the highest level in the corporation and is kept secret with only two high-ranking people in the corporation aware of the investigation being conducted. These two positions are normally the CEO or COO and the other as the company’s legal advisor. A controller is assigned who directs the investigator and serves as the investigator’s point of contact on all issues. The controller is also the liaison for the company’s representatives, forwarding daily investigative reports, and advising on the direction of the investigation. Many companies have elected to use an outside legal firm to conduct the internal investigation, further insulating themselves from required disclosure requirements. As a former Pinkerton’s investigator, I can attest to the value of conducting periodic internal investigations in critical areas. One position was with a Department of Defense supplier who manufactured parts for fighter aircraft. Naturally, quality assurance was a priority but I soon found that many of the practices that I was trained on by the company were not being conducted on the manufacturing floor. Supervisors were strict on the compliance measures…when they were around. Employees had a nonchalant attitude about the condition of the part. Many finished components destined for the multi million dollar aircraft were returned due to my investigation findings and cost the company additional dollars but may have saved millions more if a tragedy occurred. Other investigations at different locations had similar results with identifying internal theft, unsafe working practices, and on the job drug and alcohol use. Ultimately, the use of the internal investigation is reserved after a careful review on the potential loss versus the expected cost. The profits lost over time may easily justify the use of an investigator but this can only be determined after consulting with an attorney and investigative firm on what can possibly be learned from the investigation. Internal security measures and the recommendations from managers may find resolutions to the potential internal problems. In the end, company executives have another tool in their toolbox to correct their potential for loss and increase profitability. This entry was posted in Uncategorized on October 3, 2013 by harry.howell. During my time as a police officer, I would often inform new acquaintances that I was in the ‘NO’ business. Naturally, I gathered some curious responses but it allowed me an opportunity to explain. Being a figure of authority for the community I was charged with the responsibility to tell people that they can’t do what they were doing. Very few job titles today allows a person to communicate to the other that what they are doing is inappropriate or just wrong. Parenting, judges, police officers, and regulatory inspectors come to mind when we think of those who have that responsibility. Some people, especially parents, fail to take this role to heart and the result is an adult without boundaries. I consider this unfortunate because, as we so often see on the evening news or witness in daily life, people openly do things they know they shouldn’t do. Being the person who has to tell someone that they cannot do what they were doing, especially if it’s a stranger, requires a great deal of tact, some common sense, perhaps even a touch of sarcasm or humor. The basic premise is to obtain voluntary compliance. Compulsory compliance is reserved for 3 year olds and those who face the court system. Telling someone ‘no’ seems foreign to many people today. Perhaps out of a fear of rejection or thought that ‘it’s not my place’. Seems like people are afraid to offend someone who has done something we all know is wrong. We should all engage in a ‘it takes a village’ approach in these matters, approaching people politely with our ‘no’ response and involving the police when necessary. The power of saying ‘no’ is a valuable responsibility for each of us. This entry was posted in Uncategorized on September 25, 2013 by harry.howell. From a policing perspective, we have always recorded our productivity through metrics. 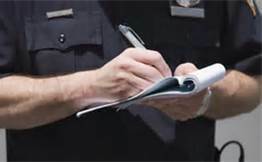 The common examples may be to record the number of reports being written by the beat officer, field interview forms completed by the School Resource Officer, or parking violations by the meter maid. Essentially, they are fact based statistical data that is used in comparison to historical or peer data. Arguably, numbers don’t necessarily describe the quality of the officer and his work ethic, so essentially it becomes a baseline for what is the standard to measure an individual’s work product. It’s basic management 101; develop a metric and meet the standard. Our problem in police management is we all too often use metric data to vilify an individual’s work performance and point towards metrics as the documentation. This is a mistake. What should be occurring is that the metric is pointing toward a problem that we may not be measuring or reporting effectively, and that leads to the entire point behind metric reporting. It identifies a problem based on statistical data. It may not necessarily be an individual officer problem. The problem could be an administrative oversight in recording the information, or perhaps a lag due to environmental or scheduling factors. Without diving into the root causes you may never know the causation. This is where proper management seeks to improve performance as a review is now mandated. Poor metric performance is essentially a probable cause statement for warranting an investigation on the supervisor’s behalf. In developing metric performance, police managers must keep in mind that the data you collect should be measurable based on reliable data. Whereas the number of summons written for speeding may be a fair universal assessment metric, it’s not when you compare a traffic cop to a beat cop. Similarly, the metric should be part of a policy regarding work performance standards. For example, detectives are required to process a percentage of pawnshop transactions for theft/fraud each month. This leads to expectations on work performance that are dependent on other factors not considered, like more transactions occur just before Christmas and less in February when tax returns are refunded. A better metric for a detective might be in percentages, like in the percentage of prosecutions sought, rather than ‘hard’ data, like the number of crime scenes processed. It’s also important not to let peer or performance reviews interfere with metrics. This can be interpreted as a ‘popularity contest’ that only leads to allegations and mistrust among officers. So then, where performance reviews are visceral, metrics are empirical. Look for measurable data that’s easy to record, vet, and verify that doesn’t allow for a reviewer’s input or emotions, or outside influence to corrupt the data in a positive or negative way. Next, identify the needs of the community and your superiors. Their contentment in your work product is what drives your success. If your area is experiencing problems in underage drinking, for example, then develop a metric that identifies the common related violations. Develop a policy statement that addresses the problem, then incorporates the metric being recorded, and announces weekly/monthly feedback to officers to encourage further success. 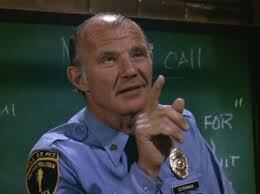 Remember, use the metric as a means to identify a problem, not to blame an officer for any lack of activity. You can then match up the data on hand to what the community or your commander is wanting. This will support or deny the information for later arguments about work performance if you get pushback on your initiatives within your supervisory chain. This also serves to have your work product recognized by those who matter most. Seek out opportunities that reinforce the positive communication you want to employ. In the community, neighborhood watch groups, victim support groups, and civic groups like business associations are excellent resources to build report for your objectives. Once reporting suggests individual achievements, immediately and professionally recognize the individual responsible. Use the metric data in the award statement as it demonstrates an objective non-biased means of recognition. This will reinforce the department’s objectives to regarding the problem that was initially addressed and also serves as a positive and fair way to identify productive officers. The take away here is that metrics are useful and a necessary commodity in determining your work product. In policing, like in business, we are judged by the numbers. If there is truth in the statistical data, then it will point towards needed improvement or documented success. For supervisors, it’s a means to find the root cause of a problem. For commanders, it’s a way to demonstrate to the community that something is being done about their concerns. And for the beat officer, it’s a way to show his value and worth to the department in terms of promotions and future assignments. This entry was posted in Uncategorized on June 7, 2013 by harry.howell. What’s wrong with PCI DSS? The Payment Card Industry Data Security Standard (PCI DSS) has origins in the credit card industry. Initially, credit card fraud was fought by the credit card companies independently until realization that a cohesive security practice was necessary by those who handle credit card data, namely the point of sale (POS) merchant. For this reason, PCI DSS was established to prevent fraud at the POS level that affects major credit, debit, ATM, and prepaid credit cards. As a creation of the credit card companies, PCI DSS enforced their standards to benefit those credit card companies but not the consumer, or the consumer’s card issuer such as a bank or credit union. Rather, the card issuer is taking increasing risks for PCI DSS’s failure to adequately test merchant systems and require, rather than request, compliance. The banking institutions are currently honoring agreements for secure transactions and when faced with a potential fraud, they are protecting the consumer by returning lost funds from victimized accounts the credit/debit card was issued against. This cannot continue at its current pace without the costs eventually being passed back to the consumer in some form. This may mean no more instantaneous transactions at the ATM, pump, or computer. Merchants argue that they need instant transactions at the POS for consumer convenience and do not have resources for new equipment or training in combating credit card data identity theft, pushing the blame on the banking institutions and the credit card companies for not emplacing their own safeguards. The finger pointing has led to recent multimillion dollar schemes that began with a computer hacking of a merchant’s payment systems that had a consumer’s credit card data. The criminals then conduct a ‘flash mob fraud’ in order to steal millions from card holder accounts in a matter of hours. In criminal cases this large, naturally, lawsuits will follow and PCI DSS will claim no liability for a merchant’s non-compliance that allowed the purge of card holder data to occur in the first place. However, an argument can be made that PCI DSS should be engaged in law enforcement and/or public training programs to identify, disrupt, and apprehend the identity thieves. Additionally, PCI DSS should be an advocate of new technologies, like Europe’s ‘chip and pin’ smart cards that has reduced credit card fraud by over 200%. Or in promoting current systems, PCI DSS can support current research and development of automatic number generators that will embed a secure code on the magnetic strip that is recognized by the reader at the next transaction. An incorrect code will result in a rejected sale. Another system is by reading the microelectronic ‘signature’ at the point of sale on the card to determine if the signature is the same as on file from other transactions. Although each merchant would be required to make this new investment, they could be the active denial system consumers need; something current magnetic card readers are incapable of performing. 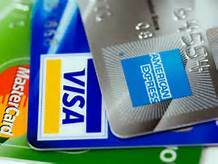 The end state is a prevention of identity theft through the use of credit/debit cards. PCI DSS has demonstrated limited scope and authority in an environment where it would be welcomed. Today, the major credit card companies are demonstrating to the educated public they are not looking out for the consumer’s interest. This entry was posted in Uncategorized on May 24, 2013 by harry.howell. Some people say that the best things in life are free. While that may be true, your life’s possessions have a definitive value. To protect what’s yours, here are some simple cost effective tips to possibly prevent the thieves from robbing you blind. The foremost way to defend against your next burglary is to get to know your neighbors. In my policing experience answering burglary reports, I’ve seen good neighborhoods get hit by burglars because they had lousy neighbors and nobody was ‘looking out’ for them. Basically, get to know your neighbors. Exchange phone numbers. Invite them over for a BBQ. Make yourself available to help out when you can and encourage them to ‘keep an eye out’ for your home. A good nosey neighbor is your best defense, hands down. If you’re fortunate enough to have an organized and active neighborhood watch program, join in and volunteer. If you don’t have a neighborhood watch, contact your local police or sheriff’s office. They often give presentations on the limits of the law and how to protect your property. Best of all, there’s no charge and you’ll make new friends along the way. A burglar alarm is a great deterrent but alarm services run several hundred dollars to install and require a contract on average of about 2 years, costing an additional $45.00 or more a month. Nearly as effective is a sign on your lawn and decals on the windows announcing that the house is protected by an alarm. 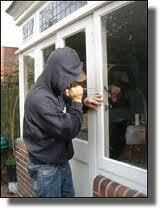 Only the most experienced of burglars know the difference and few want to take the chance. You can go online at www.emedco.com to find these items for less than $25.00. In addition to these signs, easy to install fake security cameras range in price from $14.99 to $59.99. Most have a motion sensor built in that flashes an LED light when activated, adding some realism to the effect. If you go to www.mwave.com you’ll see a good selection that won’t break the bank. Since burglars have a limited amount of time to thrash your home looking for valuables, divergence safes are a great cost effective way to store the small things you want to keep. These come in a variety of everyday household items, from bathroom cleaner bottles to soda cans to fake electrical outlets. In fact, these items have been a favorite among small time drug dealers for years. Costs start at about $10.00. You can find them at www.misdefenseproducts.com. Although most residential burglaries occur during daylight hours, for those times you’re away in the evening you should consider installing motion sensor lights. These work well on back porches, basement stairwells, and other key approaches a burglar would seek out. A simple motion sensor screws into the existing light socket and is directed to the area you are focused upon. Cost, just $19.99 for the First Alert model at www.target.com. If you’re away for any period of time, variable mode light timers will turn on and off lights giving the effect that someone is home. Woods makes a seven day programmable model sold at www.walmart.com for just $11.12. As an added step, consider marking your items with an engraver with your driver’s license number. This way, if it’s ever stolen then pawned or found, the item can be returned to the owner by the detective researching the driver’s license in the computer records. Follow up with making a video tape of your valuables and where you marked them to help out detectives in positive identification if they are found. Hopefully some of these cheap ideas will save you the time and pain of being victimized by a burglary. If you are victimized, remain calm and contact your local law enforcement to report it. Many times burglars make mistakes and detectives have a variety of ways to track them. Be patient, cooperative, and understanding of the process. After all, most burglars are eventually caught. It’s just a matter of time. This entry was posted in Uncategorized on May 6, 2013 by harry.howell. Arguably, under-developed nations institute justice with a lack of evidence. In these cultures, where centuries old rivalries are renewed with violence across tribal, ethnic, and ecumenical lines, little notice is made in the advancements of modern forensics. The rules of evidence collection, submission, and analysis are secondary to accusations and alliances. For these parts of the world, there is a lack of trust in the government. In an effort to keep peace in these regions, the institution of law likely involves the use of force to maintain the government. Investigators within police units, if there are any, rely heavily on informants to produce findings to be used in court. As is often the case, many suspects go unidentified and continue perpetrating crimes. All of this leads to an unsafe world as we move towards a highly transient and mobile global community where we need to trace, track, and find person(s) of interest (POI). 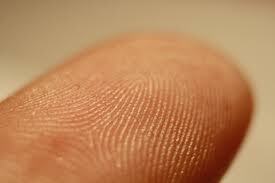 Just a few decades ago, fingerprint files were the standard to check a person’s identity. To search for a person who refused to identify himself would be a near impossible task. By manually reviewing the minutia in his fingerprints, a fingerprint expert would have to seek the fingerprint records with the similar numerical value for the suspect’s minutia points. Few cases were made as a result. As computer systems advanced, so did our applications towards Automated Fingerprint Identification Systems (AFIS), which cut the time factor from days to minutes. Further scientific advancements in retinal scanners and DNA led law enforcement and the justice system to near positive identifications in a matter of seconds. Modern forensics has become the foremost field in policing, utilizing discoveries in all fields of study, to deliberate findings without question, or at least to a statistical probability. These advancements in forensic sciences have outstripped the capacity of many nations and their courts to understand the forensic examiner’s role. Most modern societies have adopted many of these techniques in the recovery of DNA and latent fingerprints and have incorporated them into the judicial process. This extends into including the name data into ‘watch lists’ of persons who are suspected of such crimes associated with the evidence. As we develop our relationships with other nation governments in forums such as NATO and InterPol, we learn of POI’s who may engage in international terrorism, smuggling and sales of weapons of mass destruction, and human trafficking. When these alerts and warnings are heeded, the sharing of information has been beneficial to our safety and security. However, in developing nations, where the probability of radicalism and terrorist training camps exist, and are the residence of surplus individuals who are hell bent on the world’s destruction, an unsustainable system of evidence collection has been taking place, leading to a gap in identifying these criminals. Military engagements in Afghanistan and Iraq have led to advancing the identification of individuals tied to IED materials. Certain characteristics or ‘signatures’ are identified between IED builders, from the compositions of the IED explosive material, to the type of initiation system, to the way the wire may be twisted. The signatures in bomb making allow investigators to seek individuals through a myriad of ways to capture him. Mostly though, latent fingerprint evidence is collected, then a process begins to identify the POI. The common method used to identify POI’s is accomplished through enrollments of individuals into one of the three platforms currently in use to record biometric data, including fingerprints, in the wartime theatre. The Joint Improvised Explosive Device Defeat Organization (JIEDDO), the military authority on bomb making and the analysis, has stood up a defined process to place a wanted against an individual linked to bomb making with evidence recovered from the field. These POI’s are marked as ‘Be On the Look Out’ (BOLO) with the relative supporting evidence supplied to the host nation’s law enforcement. Proof that the system works is that several BOLO POI’s have been arrested and are serving lengthy sentences. The US government’s Terrorist Identities Datamart Environment (TIDE) is one recipient of the data gleaned from JIEDDO’s BOLO project. The BOLO POI is placed into TIDE. This name information eventually is placed on watch lists that use TIDE data, and alerts authorities that a person matching the name is attempting to enter the US. However, as our military operations come to a close in Afghanistan, we lose the oversight of our enemy’s identity. The reason is that JIEDDO will withdraw with the US military at the close of coalition force operations. Without supplanted funding, the Afghans are unwilling to support a beneficial program to our mutual security. This is understood by noting that developing nations do not have laboratories devoted toward the analysis of evidence. Compounding the problem is that police agencies in developing nations are often untrained and ill equipped to identify and collect forensic evidence that leads to suspect identification. For our own security, this issue should not go unabated for much longer because TIDE is not unlike any other data repository. Meaning the information we get out of it (in this case used to enforce our national security initiatives), is only as good as the information we put into it. Currently, different watch lists uses TIDE’s name database, which can cause confusion and delays when travelling. Therefore, a more comprehensive database, with many points of data population using biometric data, originating from developing nations, would enhance the global fight against terror. Our security checks at points of entry and would include a retinal or fingerprint scan to verify identity, not solely name recognition. Also, a positive identification standard is imperative to our national security. A standard that utilizes latent fingerprints, DNA, and retinal scans, as well as photographic facial recognition software. Through the use of a comprehensive global standard of identification, criminals and terrorists alike would be without safe haven. More importantly, it would be difficult to enter our borders without detection. This global information sharing initiative on POI identity could have greater applications toward determining terrorist source networks and funding. Overall, the information would be a windfall in understanding our threats, where they originate, and how best to defeat them. Many millions of US dollars have been spent in the last decade to understand and combat terrorist acts before they occur. It would seem prudent to initiate a global POI identification standard, with assistance given to developing nations, that would address these issues in a more dynamic and comprehensive fashion that benefits the host nation as well as our own. This entry was posted in Uncategorized on April 29, 2013 by harry.howell. Society at large recognizes that laws need enforcement and therefore police officers exist. That is our sworn duty. However, experience in policing teaches us that often times there are gray areas of the law that only the wisdom of King Solomon can resolve. In policing, we respond to calls that dictate our discretionary judgment. It is a sound practice that officers are empowered to use their discretionary powers within reason. I was fortunate to work in a police department that valued independent decision makers. That said, you were held accountable for those decisions. Our worst supervisors were the micro-managers. Analyzing each call you handled with the eye and ear of a trial lawyer. Certainly, each department requires a hierarchy that serves as a ‘check and balance’ to your actions on the street but overly cautious supervisors were a death kneel to solid police work. Our best supervisors were ones who offered advice when you asked for it and recommended changes in tactics or reports, not demanding them. As the old saying goes, ‘I worked with him, not for him’. Which leads to another old saying, ‘It’s not where you work but who you work with.’ And that’s true when you’re faced working horrible shifts or tough cases. Having the support of your superiors is critical to your mental health and confidence. So it only reasons that a department would identify with seeking the best qualified candidates for promotion. Currently, most large police departments incorporate a standard of experience and education for consideration in the promotional process but the process is flawed in several areas. Although most police promotional exams focus on knowledge based tests and formulas, we still rely on boards that take into account the personal effect of your communication style and ability to supervise. This is traditionally where the politics of the process is subverting the system, as multiple points are awarded to political cronies and ill prepared candidates. We then turn otherwise good police officers into hard lined liability advocates who feel their ‘work product’ somehow is tied to the police officers’ inability to function without the supervisor’s superior guidance and instruction. As an advocate of revamping archaic policies and promoting technology, the law enforcement community is in need of a standardized national model of promotion that understands, identifies, and recruits solid leaders, then certifies that process through an intensive course of instruction. Minimum standards of education and a demonstration of critical thinking, public speaking, and personal motivation skills would be valued. This would create a sense of credibility to the process, far from where most police officers identify it as today. We could also tie the process to a comprehensive psychiatric profile that identifies leadership traits to promote as well as discard from consideration those with personality inventories that subvert professional encouragement in policing. Most police chiefs may not place credence into these ideas, that’s understandable from where they sit. The overall effect should be viewed as a tool that will produce the best quality applicant from a pool and develop a professional work force that respects that decision because the promotional system has credibility. In the end, the public who we serve are rewarded best; with competence, credibility, and a knowledge that the best possible individual is selected to lead. This entry was posted in Uncategorized on April 22, 2013 by harry.howell.